We were impressed. Infact, very impressed when we stepped into our beachfront villa. 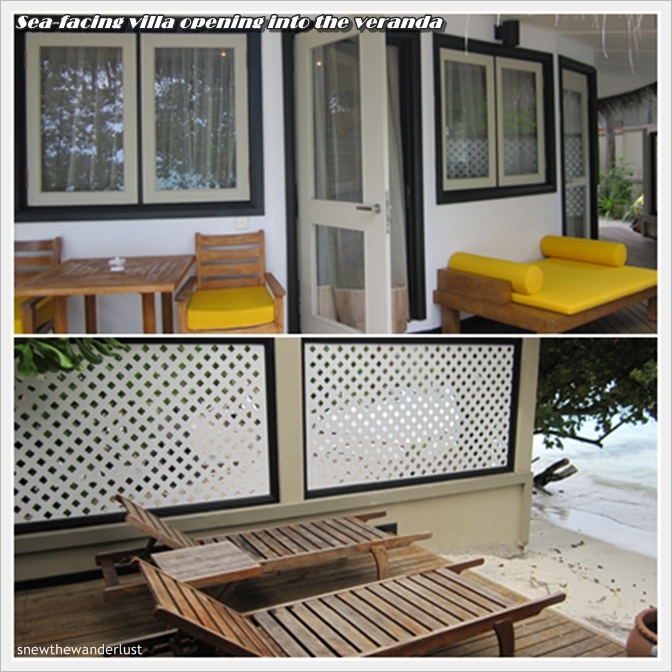 The colourful and spacious villa very much exceeds our expectation. We have seen Angsana Bintan and have a certain standards in our mind. However, when we stepped into the villa, it far exceed our expectations. One thing for sure, the villas are very well-maintained. It looks new. We were told the last refurbishment was after the 2004 Tsunami. Opps, taboo word. Facing the ocean, we are able to access the sea directly. No wonder someone could even pull their deck chair out and enjoy the shallow waters below. The beach villa that we are staying is not just a beachfront villa, but one that comes with a jetpool. It's a private jacuzzi pool in the villa! These images are looking adorable thanks for the sharing and just keep up the good work.